ELA's 65th Annual Conference will take place Nov. 13-16, 2019 at the Waterside Marriott, Norfolk, Virginia. Watch for information and registration starting in April-May. Click here for recent conference updates. Follow our Twitter feed and Facebook page for special discounts. We are a national, nonprofit member association offering unbiased information to its professional members about current legal issues affecting education and the rights of those involved in education in both public and private K-12 schools, universities and colleges. For education professionals and legal advocates on behalf of educational institutions and individual clients, ELA remains an indispensable resource. Access your member materials, participate in Member2Member collaboration, search our case summaries. And receive big discounts on bookstore purchases. Purchase books or monographs, podcasts, e-books, register for webinars and more. For attorneys, professors, administrators, teachers and law students. For decades The School Law Reporter has compiled caselaw from around the country. Now it's gone digital. SLR Express is a searchable database of SLR's vast archives. 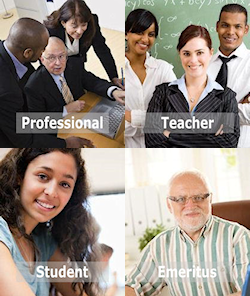 Quickly find the references you need, across the entire spectrum of school law issues. It's all part of your membership in ELA. Publications are only one part of what we do. Membership in Education Law Association gives you access to a host of professional events, from our popular annual conference to regional seminars and webinars. Earn discounts on all of these with your membership. Discover the entire range of benefits when you belong to ELA. ELA members: In the top main menu, navigate to For Members/Members' Pages/Monthly Materials. This content is only for our members, and you must be logged in to view it. Depending on your membership plan, materials also may be distributed to you by e-mail. ELA's 65th Annual Conference will take place Nov. 13-16, 2019 at the Waterside Marriott, Norfolk, Virginia. Submit conference presentation proposals online (deadline March 1). Watch for registration starting in April-May. The Education Law Association is a membership organization and does not answer individual legal questions or provide legal advice or services. If you are in need of legal representation, contact your local, county, or state bar association or legal aid office.